Our parish is an extension of our homes. It is the physical and visible focal point of our faith. It is the public forum where we gather as a Christian community to give witness to Jesus. We invite you to join our extended family of faith. 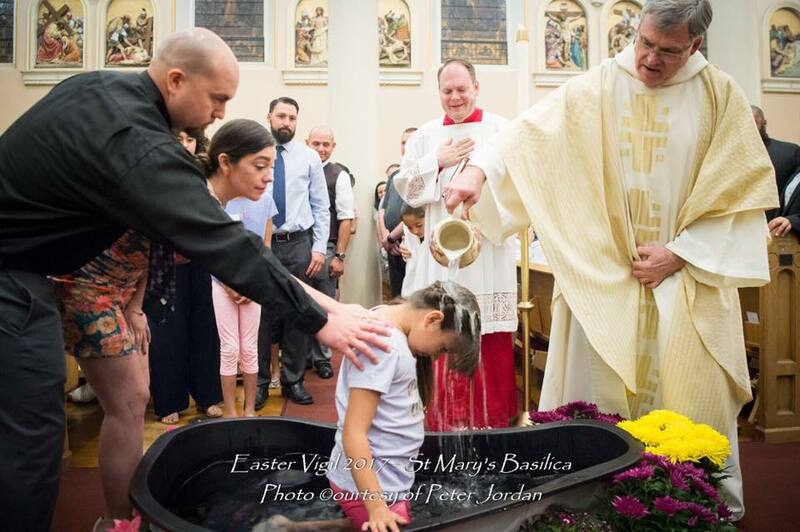 Our parish gives us so much: the Eucharistic celebration, the initiation of baptism and confirmation, the soothing and strengthening help of penance, the blessing of matrimony, the comfort of the sacrament of the sick, the “belonging” of community, and the security and assurance of knowing we are a people favored by God. The wonderful benefits also elicit a responsibility for each of us toward our parish as an active, living, sustaining institution. We fulfill this obligation by giving of our time and talents, and by our adequate financial support – our treasure. Please share the gift of your family with St. Mary’s Basilica and register. Online Giving allows you to make contributions to our church without writing checks or worrying about cash donations. The “Online Giving” button lets you set up automatic contributions and change the timing or the amount of your gift at any time. You may make pledges and manage your contributions to the pledge amount, and you may make one-time donations to special causes. Please click on “Online Giving” and then click on “Sign Up for Your New Account” and complete your initial account registration. Thank you. Download the Registration and Stewardship Form and fill it out completely. After you have completed “Online Giving” or requested parish envelopes, returned the parish registration / stewardship form to St. Mary’s Basilica.